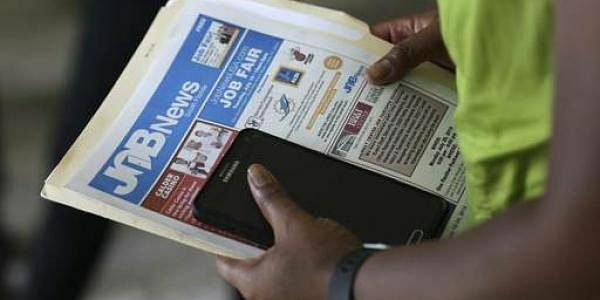 More people sought U.S. unemployment benefits last week, but applications are still at a low level that points to a healthy job market. WASHINGTON: More people sought U.S. unemployment benefits last week, but applications are still at a low level that points to a healthy job market. THE NUMBERS: Weekly unemployment benefit applications rose 15,000 last week to a seasonally adjusted 258,000, the Labor Department said Thursday. The four-week average ticked up 1,000 to 240,000. The number of people receiving benefits fell 39,000 to 2 million, the department said. That's down 8.6 percent from a year earlier. THE TAKEAWAY: Applications, which are a proxy for layoffs, have been below 300,000, a historically low level, for 80 weeks. The figure had topped 100 weeks but the Labor Department revised the data Thursday. The figures suggest that relatively few Americans are losing their jobs. In late February, applications fell to 210,000, the lowest since 1969, according to the revised data. Many businesses complain they are having trouble finding qualified workers to hire for their open jobs, which probably makes layoffs less likely. KEY DRIVERS: Hiring has been healthy since the beginning of the year, pushing the unemployment rate down a bit. Employers added an average of 236,500 jobs in January and February, up from a monthly average of about 180,000 last year. The unemployment rate ticked down to 4.7 percent in February from 4.8 percent. Businesses and consumers have been more optimistic since the November elections, but it's not clear if that has translated into more shopping and business investment. Economists at Bank of America Merrill Lynch point out that much of the increase in optimism has occurred among older, middle-income Americans, yet middle-aged, wealthier people drive more spending.